Welcomes, warms, quiets and calms. 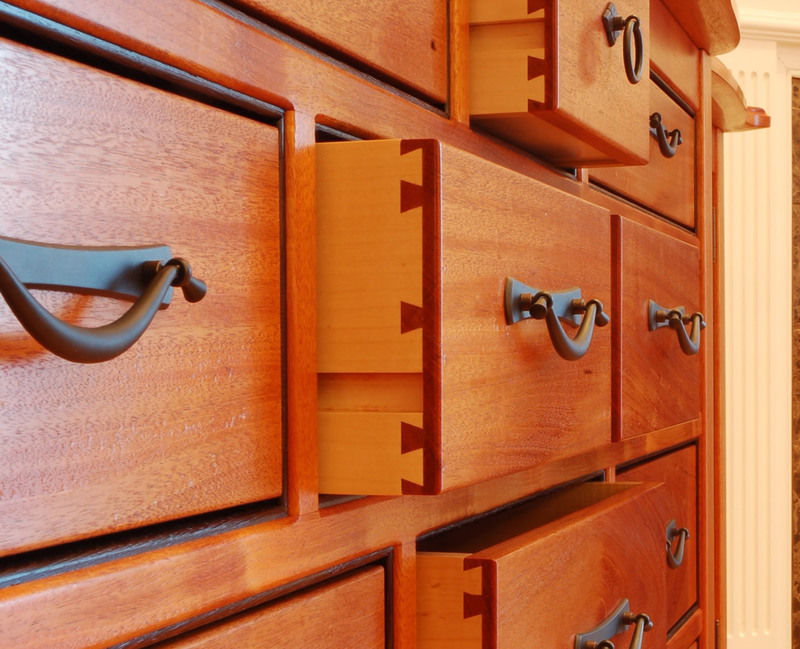 Enhance your home through custom furniture and cabinetry. 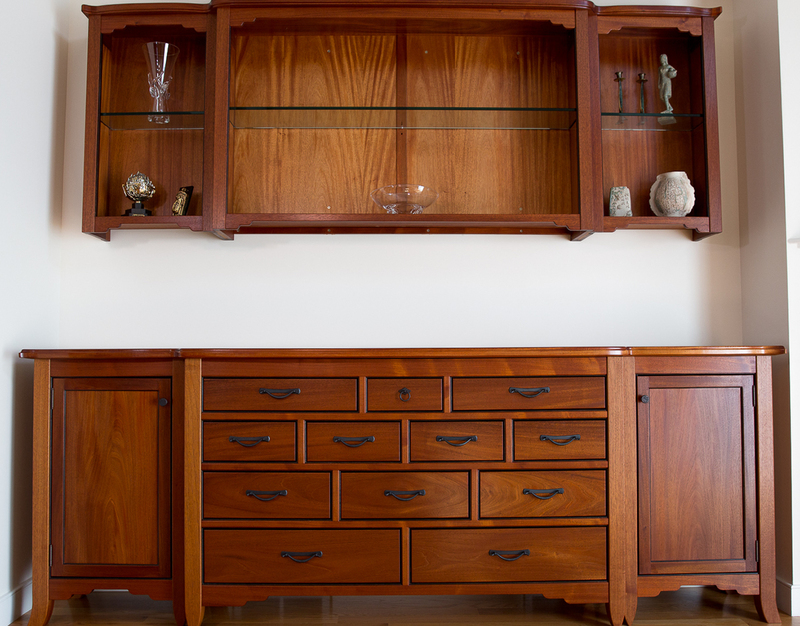 Arts and Crafts inspired with asian accents, this mahogany buffet features wenge beading, leather-lined drawers with beeswax-impregnated maple slides and hand-hammered copper hardware fashioned by Israeli goldsmith Avigal David. 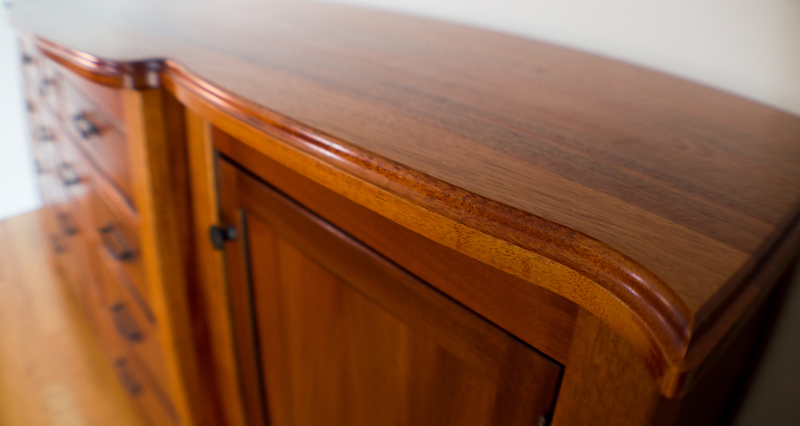 Careful attention to grain structure across drawer faces and door panels creates harmony in the design. Display case cloud lift design echoes that of the buffet. 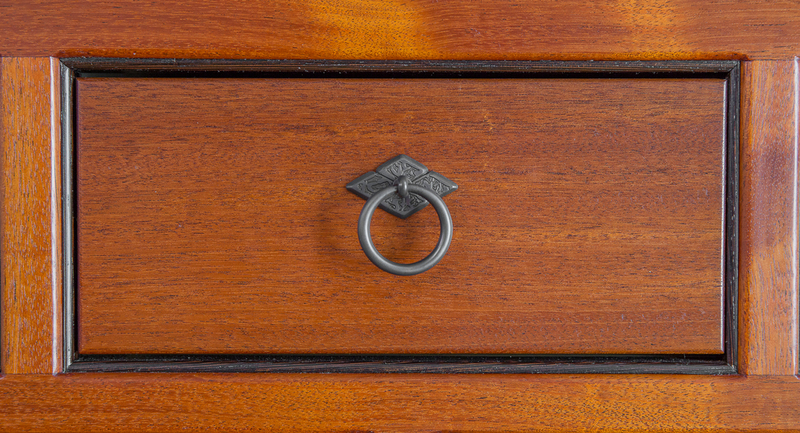 Hand-rubbed finish with fine wax top coat.